EACH TIME I HAVE DONE A CAKE FUNDRAISER FOR A CHILD IT NEVER CEASES TO AMAZE ME HOW GIVING AND CARING THE WIREGRASS COMMUNITY TRULY IS...EVEN DURING A CATASTROPHIC HURRICANE PEOPLE WITH THEIR OWN PROBLEMS CONTINUED TO CALL TO MAKE A DONATION FOR RYLANN. 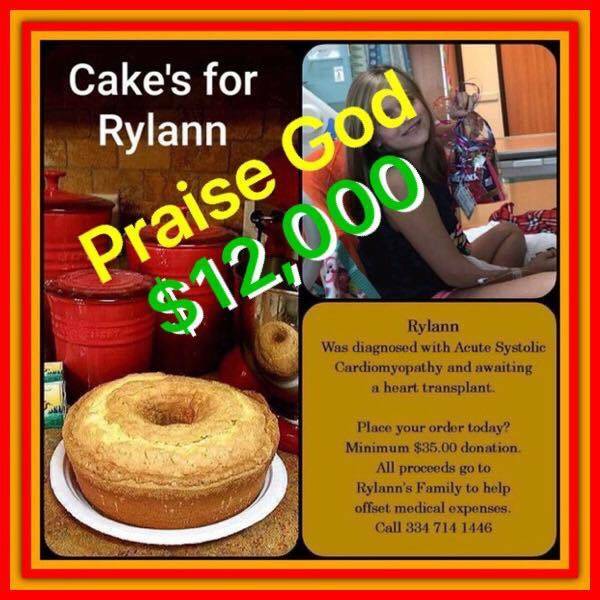 I WANT TO THANK EVERYBODY WHO HELPED ME WITH CAKE’S FOR RYLANN. EVEN WITH THE HURRICANE Gail Trawick Adams, Beverly Williams Buchanan, Marty Cates, Teresa Ethridge Hamm, Rusti Rice, Marcia McWhorter And Karen Hunter Nolen continued to help bake delicious homemade poundcakes. 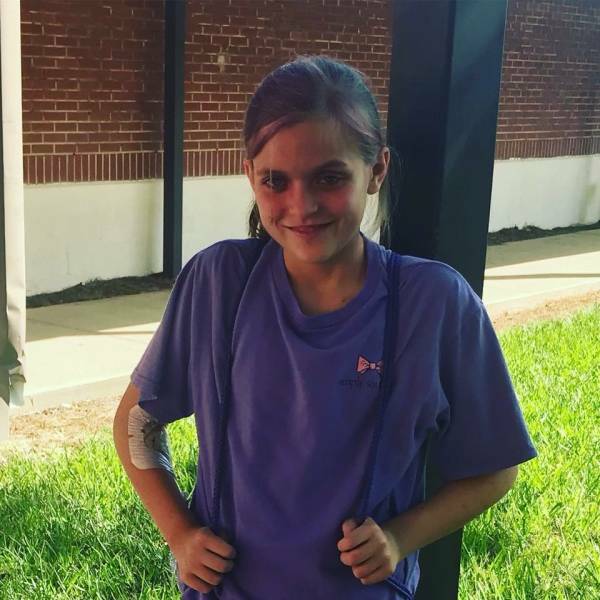 RYLANN IS CURRENTLY STILL ON A WAITING LIST TO RECEIVE A HEALTHY HEART. 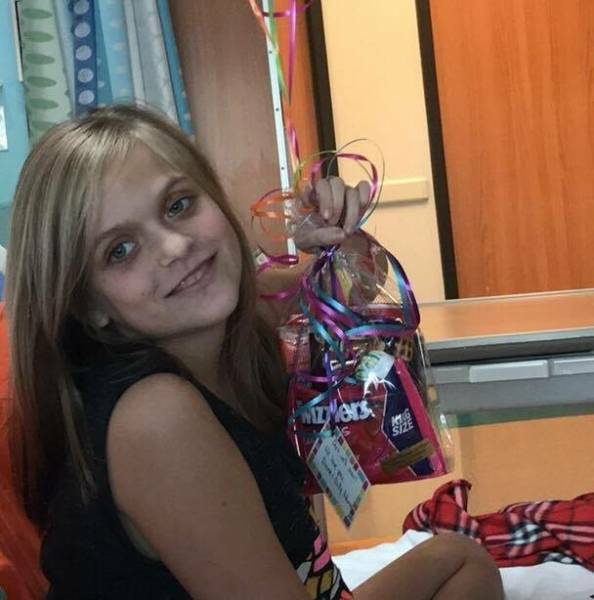 PLEASE CONTINUE TO PRAY FOR RYLANN AND HER FAMILY AS THEY GO THROUGH THIS UNEXPECTED JOURNEY.